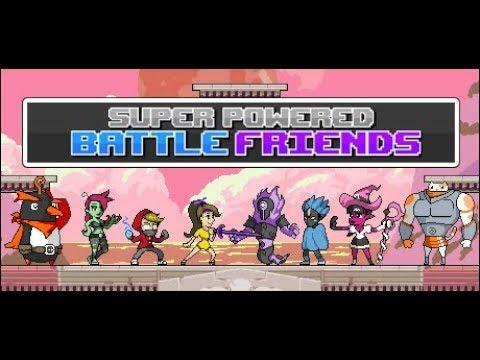 Super Powered Battle Friends from developer Cache Grab Studios is now on Kickstarter to help push it past the finishing line. With both online and offline play, AI bots for when no one is around and eventual modding support it's certainly one to keep an eye on. I've given it a shout-out a couple times now, since the developer has been so open about supporting Linux and it will be using Vulkan too. To make things a little different to other platform fighters, they're not just catering to the competitive scene. They say their plan is to have a number of different game modes available and with eventual Steam Workshop support you will be able to make your own characters and stages. They're not actually seeking a lot of funding, only $20,000 Canadian Dollars and they have until April 25th to hit their target. Have a look on the Kickstarter here and you can also follow it on the Steam page. They're happy about your coverage. This looks like a platform fighter like Smash Bros crossed with Maniac Mansion. Not really sold on the character design, however.